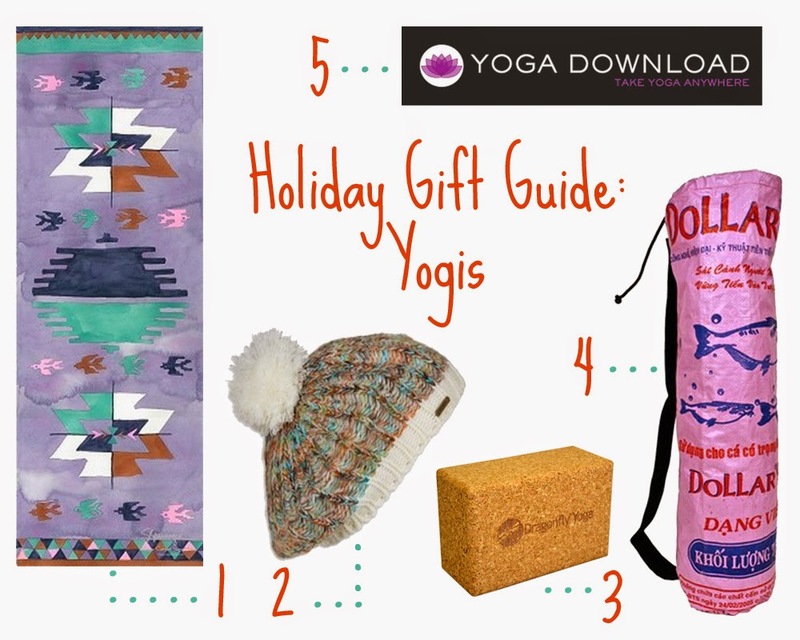 If you’ve been reading Chickadee Says for a while you know that I am an avid yogi so this gift guide was one of my favorites to create! (P.S. if you’re new to Chickadee Says make sure to check out my yoga posts!) From fun mats to prop splurges that will make any yogi smile there is something for everyone that practices yoga from beginner to advanced practitioner! 1. Baja Magic Carpet Yoga Mat. I have a few mats, many of which get chucked in the back of my Jeep, unrolled onto concrete and dirt, and are very well loved. But I do have the special ‘take a picture of me’ gorgeous mats that I save for a special occasion. I would LOVE this mat to be one of those ‘I feel incredible practicing on beauty’ mats! 2. Frosty Beanie by prAna. 1. I love prAna- their products are incredible, both well made and gorgeous. And this beanie just screams it is freezing outside, but under here all I’m wearing are yoga crops and a tank! 3. Cork Yoga Blocks. I know what you’re thinking- “seriously, a block?” but yes. Absolutely. I consider cork blocks to be the crème de la crème of yoga blocks- they don’t get squashed like foam blocks do and so help you feel so much more stable. However they are double the price of foam blocks and so a bit of a well-worth-it luxury. 4. Recycled Yoga Mat Bag. This bag is awesome, repurposed from rice bags it is amazing for the environment and quite the conversation starter! 5. A Subscription to YogaDownload.com. I love Yoga Download (if you’d like to see my full review click here!) and a subscription is a perfect gift for yogis of all levels. Access to incredible teachers in your living room? I think yes. 6. 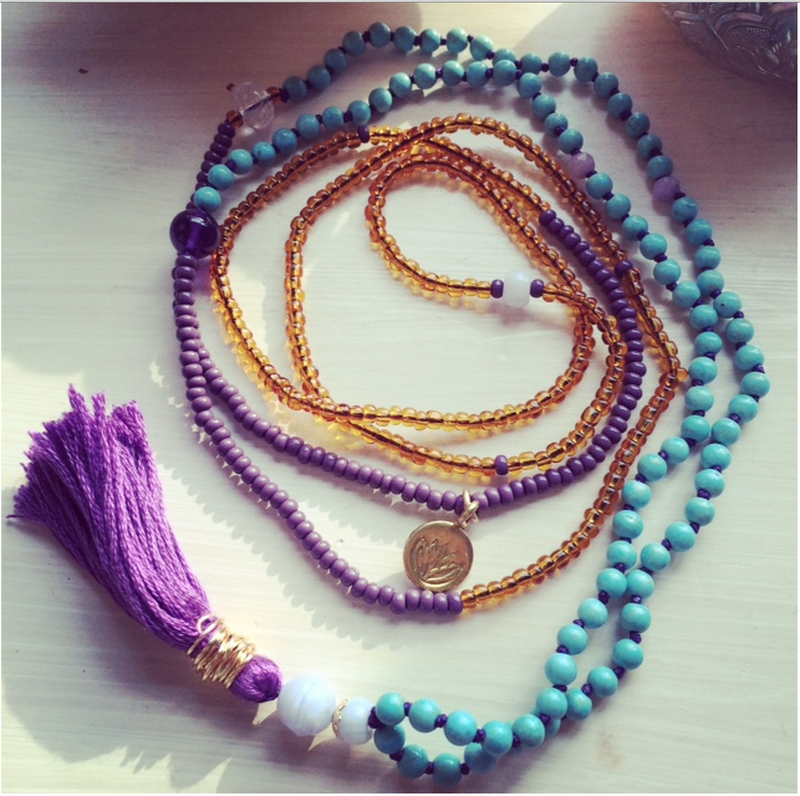 BEST GIFT EVER: I adore Andrea, owner and founder of The Sutra Project. She lives just up the road in Boulder and HAND MAKES all of her Shine Garlands (aka malas) they are beautiful, made with love you can feel, and you can customize them! I honestly cannot recommend them (and her!) enough! Do you have a gift you’d add? Let me know in the comments below! I was compensated with product, payment or both in order to facilitate this post. Some links are affiliate links.